Autumn. Mist and chimney smoke drifting through the valley. 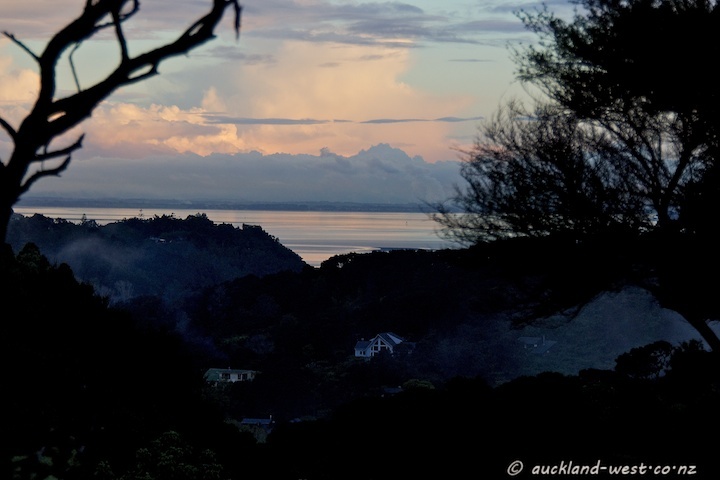 The distant Manukau Harbour reflects the light of the clouds.